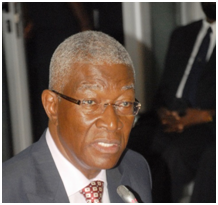 Nii Osah Mills (Chairman) – Legal Practitioner, Ghana’s current Minister for Lands and Natural Resources and past president of Ghana Bar Association. Agnes Akosua Aiddoo (Vice Chair) – Child’s Rights and Gender Expert. Social Anthropologist and Former UNICEF representative to Tanzania. Ellen Bortei-Doku Aryeetey (Professor, University of Ghana: Development Practitioner; Former head of the Centre for Social Policy Studies at the University of Ghana).